A bespoke shed. made to measure to suit your needs. This particular model in 2.8m x 2.8m (9' x 9'). 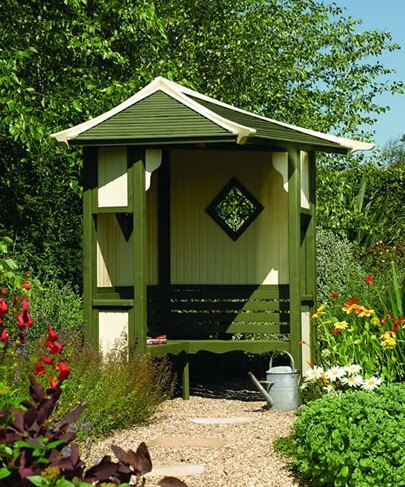 These buildings are manufactured from the highest quality materials and offer a completely unique look for your garden, supplied untreated but they can be supplied fully painted if required in your choice of colours. This design creates a contemporary, designer look for your garden, the roof overhang of 1.5m supported on strong corner posts gives this practical shed good definition and shelter from the elements. Stainless steel fitting used throughout. The building is supplied with a felt roofing tiles, these are of a superior quality to any others supplied from manufactures, these are sourced in Europe and have a fully lined backing so the entire tile is stuck to the surface resulting in a trouble free and durable finish to last for years. A high eaves pent shed 2.13x1.52m with a strong tongue and groove construction. 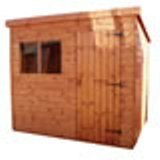 A Traditional Heavy Duty Pent Shed 5.49x2.44m a large storage space which will last for years. The triangle shelter sail provides attractive shading from the sun for any size garden. 13'8"x13'8"
This arbour is designed to fit into a right-angled corner, finished with attractive metal detailing.